Charles Cornwallis, 4th Baron Cornwallis (1675-1722), Whig politician; MP for Eye and Postmaster-General. Sitter in 3 portraits. The Act for the Naturalization of Princess Sophia, Electress of Hanover, following the Act of Settlement, 1701, ensures Sophia and her descendants, if Protestant, would succeed to the throne. The passing of the Alien Act in Parliament deems any Scot in England to be a foreign subject. Astronomer, Edmond Halley, publishes his celebrated work Synopsis astronomia cometicae. Architect, Sir John Vanbrugh is appointed to design Blenheim Palace, a gift from the queen to John Churchill, Duke of Marlborough, in recognition of his victory against the French at Blindheim, Bavaria. 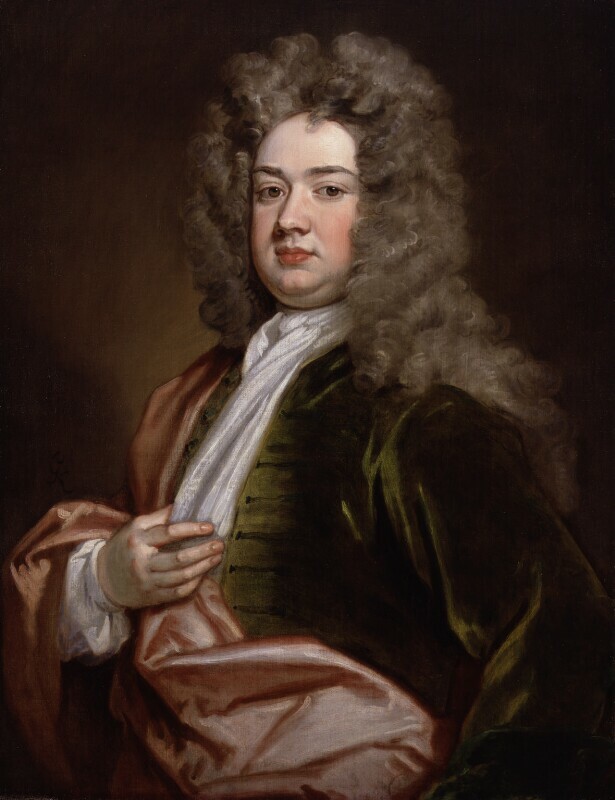 Charles Mordaunt, Earl of Peterborough having recently been appointed admiral alongside Sir Cloudesley Shovell, sails from England to fight a successful, though controversial campaign in Spain during the War of the Spanish Succession.